A University Police vehicle. UP Chief Bruce Lewis said the Chicago Police Department arrested a suspect in connection with the two March 12 strong-arm robberies on NU’s Chicago campus. 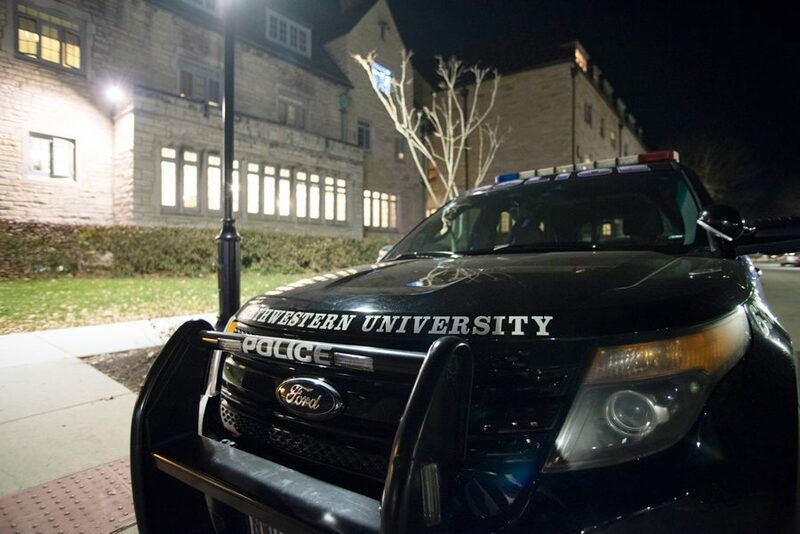 The Chicago Police Department arrested a suspect in connection with the two strong-arm robberies on Northwestern’s Chicago campus, according to a Thursday email sent by University Police Chief Bruce Lewis. The suspect, who was not named, was charged with two counts of robbery, Lewis wrote in the email. The two robberies occurred on March 12 on NU’s Chicago campus and members of the NU community were made aware of the incidents through two crime alerts early Tuesday. The first robbery, which happened at 12:11 a.m. Tuesday at the intersection of North Sinclair Street and East Superior Street, involved a woman not affiliated with NU. She reported that she was knocked to the ground by a man and a second man took her purse, which contained her wallet and cellphone, according to a crime alert signed by Eric Chin, the deputy chief of UP. The second robbery took place at 4:04 a.m. Tuesday morning near East Chicago Avenue and North Fairbanks Court. According to the second crime alert, a Pritzker School of Law student was watching a movie on his iPad while walking toward campus when two men exited a silver sedan, struck him in the face and took the iPad. Lewis wrote in the email that UP will continue to assist CPD with the ongoing investigation and will keep the NU community updated on any further developments.